The oil and gas industries heavily impact the environment, causing contamination that is devastating to natural flora and fauna, marine life, and human health. 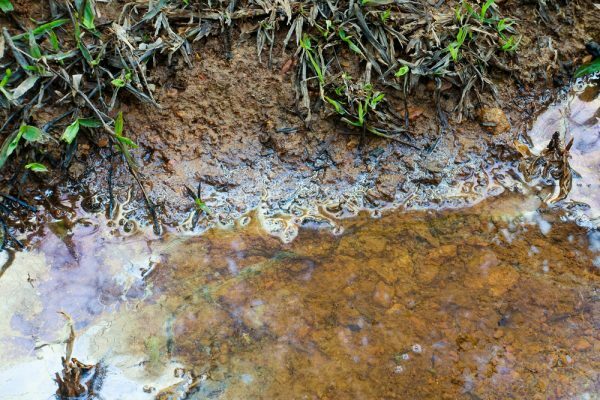 If you have a business or piece of land that may have come into contact with oil, either through mining, production, or a spill, it’s important to undertake an environmental site assessment to check for signs of contamination. In this blog, we take you through the environmental and health impacts of oil and gas production on the surrounding water, air and soil. Water can become contaminated with oil or gas through a variety of processes, including mining and production processes, and accidental spills and leaks. One litre of oil can contaminate up to 1 million litres of water and can remain in the environment for long periods of time, producing devastating effects. When an oil spill occurs in a water source such as the ocean or a river, the oil spreads over the surface of the water in a thin layer, making it impervious to oxygen. Oil spills in water greatly impact both plant and animal marine life, and can also affect drinking water and irrigation – making it unsuitable for human use and consumption. Groundwater can become contaminated through hydraulic fracturing and wrongful storage and disposal of drilling and production wastes, and stormwater runoff can also introduce oil and toxic chemicals into nearby rivers and streams. Although oil doesn’t contaminate the air itself, the oil and gas development process is responsible for the emission of a wide range of contaminants carbon monoxide, methane, nitrogen oxides, hydrogen sulfide, sulfur dioxide, dust, and volatile organic compounds. All of these contaminants significantly reduce air quality, which has negative impacts on human and animal health, and can disrupt plant growth. Methane and carbon in particular have also been linked to climate change. The oil and gas industries produce a lot of waste, including toxic chemicals, petroleum hydrocarbons, metals and radioactive materials – all of which have the potential to contaminate soil – killing and preventing future growth of vegetation, and, as a result, disrupting the food chain. Contaminated soil can also seep into the groundwater, which poses risks to human and animal health. If your land is near oil or gas mining or production sites, or you suspect it may have been affected by an oil spill, it’s a good idea to get in contact with an environmental consultant to have them conduct a professional site assessment. Alpha Environmental are experienced environmental consultants based in Melbourne and will accurately detect any signs of oil contamination present on your property.